We’re told not to sweat the small stuff, but the small stuff, especially in cooking, is the whole point. Chefs Nick Balla and Cortney Burns of Bar Tartine know this better than most—but even the most intricate labors of love can be achieved with less labor. The video above, produced by ChefsFeed, shows how professional chefs and home cooks alike can use our tools to produce incredible dishes without stressing over doneness or timing. If you were watching carefully, you may have noticed a new tool in the Sansaire arsenal: the Sansaire Searing Kit! 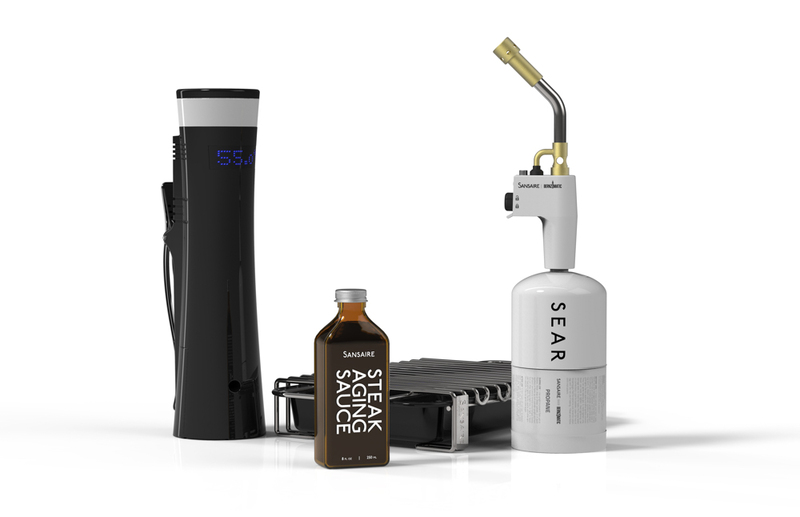 That super powerful, handsome blowtorch, plus the searing rack? Yep, that’s ours. And, if you’re in the mood for new things, you may also want to check out our brand new Sansaire Steak Aging Sauce, too. With these tools, great ingredients, and a little love, now’s the time to make perfect easy.